Missouri Gov. 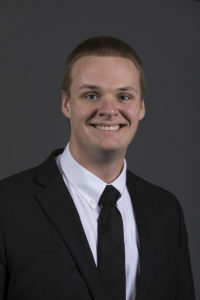 Mike Parson has appointed Avery Welker of Perryville, Missouri, a Ph.D. student in petroleum engineering at Missouri S&T, to serve as the student representative to the University of Missouri Board of Curators, the governing board for the four-campus university system. Welker earned a bachelor of science degree in petroleum engineering from Missouri S&T in 2016. He also earned an associate’s degree in science and mathematics through the Missouri Academy of Science, Mathematics and Computing at Northwest Missouri State University in Maryville, Missouri, in 2013, when he also graduated from Perryville High School. As an undergraduate at Missouri S&T, Welker was involved in the Thomas Jefferson Hall Association and the National Residence Hall Honorary, where he served as president and leadership trip chair, among other duties. 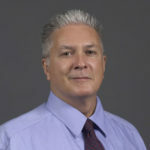 He is a member of the petroleum engineering honor society Pi Epsilon Tau and served as graduate student liaison to the Missouri S&T chapters of the American Association of Drilling Engineers and the Society of Petroleum Engineers. He has held internships with Devon Energy in Oklahoma City, where he was a reservoir engineering intern from June through August 2017, and with TG Missouri in Perryville, where he worked in the chrome plating division from June through August 2016. He also has worked as a graduate research assistant and, while an undergraduate, as a resident assistant. For his Ph.D. studies, Welker plans to study the development of sand injectites – “streams” of sand that can be fluid flow pathways between turbidite lobes, which are large sand deposits on the ocean floor that may hold oil. Welker is interested in investigating how porosity, permeability and other compaction effects in turbidite lobes could factor into the development of sand injectites and their ability to connect several turbidite lobes to recover petroleum from these deposits.